The brain reaches its peak performance between the ages of 16-25 years and cognitive decline commences thereafter. As people around the world spend billions of pounds on cosmetics to retain a youthful appearance, many aren’t aware of the importance of keeping the brain young and youthful. In fact, maintaining a healthy brain could safeguard against cognitive decline and diseases like dementia. By making proactive lifestyle changes, the risk can be reduced by up to 33%. The brain is just like any other part of your body, it needs to be looked after and exercised in order to keep it fit, strong and functioning effectively. The average person checks their phone up to 85 times per day. This can affect concentration and attention span; making people distracted and also making the brain lazy. Stop relying on apps to remember calendar dates, phone numbers, instructions or directions and boost your brain health by testing your memory. Taking part in a game requires concentration which keeps your brain engaged. Your brain is a learning machine and it needs to keep learning to optimise performance. The social stimulation of playing a game with others is also really beneficial. Test your brain by shaking up your routine or doing things backwards. For instance, you could brush your teeth with the opposite hand, recite the alphabet backwards or memorise a shopping list. It’s important to continue pushing yourself with variety and intensifying the challenges in order to keep the brain fit and agile. Research has indicated that being bi-lingual may delay the onset of dementia by around four and a half years. This is because speaking a second language requires a specific type of brain training. It means that it both enables the individual to learn the language as well as being able to alternate between the two. With every page or chapter, the brain is working to store and retain more information. This is a great mental workout and something that can easily be incorporated into daily routines, like during your commute. Being in an active, sociable environment, conversing with others and solving problems is a good way to stimulate the brain. It keeps the brain healthy, agile, active and young. Socialising and maintaining friendships helps to reduce anxiety and depression. It also improves cognitive sharpness and performance at every stage of life. 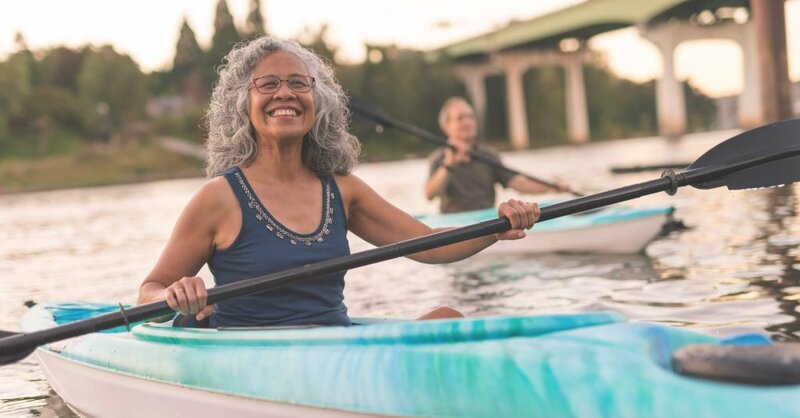 Research has indicated that older adults with active social lives live longer. Playing a musical instrument builds confidence, relieves stress, fosters creativity and gives a sense of achievement and satisfaction – all of which will help keep the brain young and active. Being physically active can protect against many disease, including dementia. It keeps the heart, muscles and bones in optimum health, and the brain is no exception. Exercise vigorously three times a week for 20 minutes or moderately five times a week for 40 minutes to help reduce the risk. Nutrition is integral in keeping the brain healthy and youthful. Minimise sugar, alcohol and processed foods and make your diet rich in fresh vegetables, fruits, proteins and essential fatty acids (omega-3 and omega-6 found in oily fish, nuts and seeds). Sleep helps our brains clear away toxins, plaques and proteins that build up throughout the day. It helps us to remember new things we have learnt, improves concentration, mood and metabolism. On the other hand, sleep deprivation, or sleep interruption, can increase stress levels. It’s essential to get between 6-8 hours sleep each day for our brains to optimise brain performance.